PORT OF SPAIN, Trinidad, Oct 5, CMC – Opposition Leader Kamla Persad Bissessar Friday called for fresh general elections as she dismissed suggestions by the Keith Rowley government that it had been able to turn around the economy since coming to office three years ago. Persad Bissessar told legislators that as at June 2018, the country’s gross public debt stood at TT122.1 billion (One TT dollar=US$0.016 cents) “which is the highest it has ever been in our recorded history. She said that instead of transferring savings for future generations, the government “is hell bent on transferring insurmountable debt to the future generations of this country. “In just three years, this government has already borrowed over TT20 billion dollars. Today, the country’s net public sector debt outstanding stands at TT96.6 billion dollars, the highest in our nation’s history.”. Persad Bissessar said that Finance Minister Colm Imbert, who on Monday had presented the TT$57.1 billion (One TT dollar=US$0.16 cents) budget to Parliament, had once against sought to hoodwink the population about growth and a turnaround in economic fortunes. 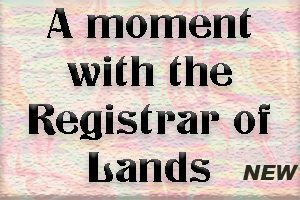 “Anyone who looked or listened to the minister’s speech on Monday knows that the turnaround he speaks about is not real – it cannot be felt, it cannot be seen, it cannot be touched, it cannot be smelt and it cannot be tasted. “There has been no turnaround of empty pockets, no turnaround of empty kitchen cupboards, no turnaround of empty wallets, no turnaround of job loss. There has not even been a turnaround of the lacklustre performance from government, “Persad Bissessar said during her three-hour contribution to the debate. “After three years, this …government has shown that it does not have a clue about what to do to grow the economy,” she told legislators, adding that the Rowley administration had over the past three years been campaigning for the next general election constitutionally due by 2020. “The Prime Minister tells us that he is not afraid to lose the next election. In the same breath, he says that Balisier house (headquarters of the ruling People’s National Movement (PNM) is run better than the PNM government. “I think everyone will agree with me that anything and everything is being run better than this government. No amount of bravado or strong man politics can change the reality that citizens cannot afford to buy school books for their children, they cannot afford to put bread and johnny bake on the table,” said Persad Bissessar, who led a coalition People’s Partnership government between 2010-15. She said that citizens were fed up of the blame, of the excuses, and they are completely fed up of the PNM. “Their strategy is not to fix the economy, not to help the small man, not to create jobs, not to uplift the country. Their strategy is to stay in power and to keep enjoying luxury yachts, golf trips and mustangs. They do not know or care about the pain that you feel; they do not understand the hardship that you face,” she said, as she outlined the fiscal policies and measures a United National Congress (UNC) government would adopt if it wins the next general election. 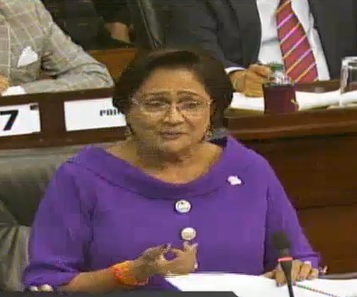 Persad Bissessar said that the government, since it won the 2015 general election has been blaming her administration, the police, public servants, teachers, unions, economists for the situation confronting the oil-rich twin island republic. “For three years later and four budgets all the people of this country have gotten from you is excuses and a run around. This is the tragic and frightening crossroads we find ourselves today, a government destabilising every single sector, destroy”. She said that the government “has willingly breached its social contract with the people who elected them in good faith to serve their basic needs and rights to live in a stable, progressive democracy” and instead are being repaid “with betrayal, treachery, brutality, ingratitude and inhumanity “. Persad Bissessar said that her UNC party would end the “shadows of darkness, despair, destruction, wickedness and hardship” inflicted upon the population by the PNM government and that voters were waiting patiently to “riot with their fingers” in 2020. “I say to you, call the elections now and meet the people in the voting booths,” she said, adding that her party’s vision for the country is one in which each citizen can enjoy a better quality of life, more prosperity, safety, access to quality healthcare and improved equal opportunities for all. “We will re-engineer our society, from one that has to protest for roads, drains and water, to one that is aspirational in nature. We will re-calibrate the chaos that they have created by the mismanagement and incompetence of the government. “We will return Trinidad and Tobago to a nation of prosperity rather than the failed state that they have reduced us to. We will get to work immediately, and we will ensure that the persons they have left unemployed and impoverished will get back to work too.”. Persad Bissessar said that the vision of her party in government would be achieved by rebalancing the country’s finances, reforming its institutions, with particular attention to the state enterprise sector “and most importantly we would do all of this with the people at the centre, as the single most important priority to my government. “With diligence, resolve and a shared vision, we can transform our nation, and ensure a brighter future for every single citizen of Trinidad and Tobago,” she said. The budget debate is continuing.